The statue in the courtyard of École polytechnique, Paris, commemorating the students' involvement in defending France in 1814. Patriotism denotes positive and supportive attitudes to a 'fatherland' (Latin patria), by individuals and groups. The 'fatherland' (or 'motherland') can be a region or a city, but patriotism usually applies to a nation and/or a nation-state. Patriotism covers such attitudes as: pride in its achievements and culture, the desire to preserve its character and the basis of the culture, and identification with other members of the nation. Patriotism is closely associated with nationalism, and is often used as a synonym for it. Patriotism has ethical connotations: it implies that one places the welfare of the nation above that of oneself. It may also imply that one's nation is more important than other nations. However, it does not necessarily imply that one should support the principle of "my country right or wrong," for patriots may also at times be strong critics of their nation's policies. In wartime, sacrifice for one's nation may include death. Such sacrifices for the fatherland are indeed the archetype of patriotism. 2.1 Patriotism for other countries? The American patriot Nathan Hale epitomized the patriotic ideal when he declared, "I regret that I have but one life to give to my country." Personal patriotism is emotional and voluntary. The patriot adheres to certain patriotic values, such as respect for the flag or the honoring of veterans. Other expressions of personal patriotism include enlisting in the army, public service, and participation in the political process through voting or other forms of activism. Official patriotism relies heavily on symbolic acts, such as displaying the flag, singing the national anthem, saying a pledge, participating in a mass rally, placing a patriotic bumper sticker on one's vehicle, or any other way of publicly proclaiming allegiance to the state. 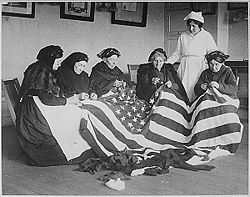 Symbolic patriotism in wartime is intended to raise morale, in turn contributing to the war effort. Peacetime patriotism can not be so easily linked to a measurable gain for the state, but the patriot does not see it as inferior. In the hierarchy of moral values, patriotism ranks above family or local society, but below God and also below conscience. Thus, the saying "my country right or wrong" does not necessarily reflect "authentic patriotism," but a patriotism that confuses the national good with the highest good. The primary implication of patriotism in ethical theory is that a person's moral duty is to place the interests of the nation above one's own needs. One may also have a higher duty to fellow members of the national community than to non-members. Patriotism may thus be selective in its altruism. Criticism of patriotism in ethics is mainly directed at this moral preference. Universalist beliefs reject such specific preferences, in favor of an alternative, wider, community. In the European Union, thinkers such as the German philosopher Jürgen Habermas have advocated a European-wide patriotism, but patriotism in Europe is usually directed at the nation-state. Similarly, patriots in any nation may (or may not) see a need for the nation to sacrifice for the world. For example, many Americans saw it as their patriotic duty to fight against totalitarianism in Europe, while others—at least until the Japanese attack on Pearl Harbor—felt that the United States ought to stay out of the war. Many religious believers place God or their religion above their nation. This sometimes results in suspicion that they are not patriotic enough. As a result, in the United Sates, the Knights of Columbus emphasized patriotism as one of their four principle virtues. Muslims are sometimes seen as owing loyalty to the Islamic community (ummah) rather than to the nation, even though many Muslims voluntarily enlist in the army and fight against Islamic extremists in other countries. Some groups find a serious conflict between certain patriotic acts and religious beliefs. Jehovah's Witnesses, Quakers, Amish, and Mennonites, for example, often choose to refuse to engage in certain patriotic acts or to display patriotic symbols or serve in the army. A problem with treating patriotism as an objective virtue is that patriotism often conflicts with other ideas. Soldiers of both sides in a war may feel equally patriotic, creating an ethical paradox. In his influential article "Is patriotism a virtue?" (1984) the philosopher Alasdair MacIntyre notes that most contemporary conceptions of morality insist on a blindness to accidental traits such as local origin and therefore reject patriotic selectivity. MacIntyre constructs an alternative conception of morality that he claims would be compatible with patriotism. Charles Blattberg, in his book From Pluralist to Patriotic Politics (2000), has developed a similar conception of patriotism. Within nations, politicians may appeal to patriotic emotions in attacking their opponents, implicitly or explicitly accusing them of betraying the country. Minorities, on the other hand, may feel excluded from the political community and see no reason to be proud of it and instead side with the group that most supports their ethnicity or religious belief. In the United States, patriotic history has been criticized for de-emphasizing the post-Colombian depopulation, the Atlantic slave trade, the population expulsions, and the wars of conquest against Native Americans. On the other hand, a number of recognized American patriots were outspoken opponents of slavery. Patriotism is often portrayed as a more positive alternative to nationalism, which sometimes carries negative connotations. Some authors such as Morris Janowitz, Daniel Bar-Tal, or L. Snyder argue that patriotism is distinguished from nationalism by its lack of aggression or hatred for others, its defensiveness, and positive community building. Others, such as Michael Billig or Jean Bethke Elshtain argue that the difference is difficult to discern, and relies largely on the attitude of the labeler. There are historical examples of individuals who fought for other countries, sometimes for their independence—for example the Marquis de Lafayette, Tadeusz Kościuszko, and Kazimierz Pułaski in the American Revolutionary War, and the "Philhellenes," western Europeans who fought in the Greek War of Independence, notably Lord Byron. 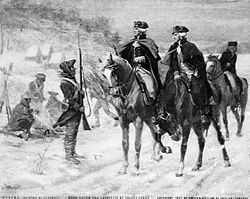 Was Lafayette an American patriot, or the Philhellenes Greek patriots? Some see these and similar cases as instances of idealism, but not of patriotism. Under this view, Lafayette was devoted to the ideals of political liberty that underlay the American Revolution, but was not specifically patriotic for America. In this view, patriotism by definition can only be a preference for one's own country, not a preference for the ideals that a country is believed to stand for. Other concepts of patriotism, however, allow that a true patriot can not only be critical of his or her country for failing to live up to its ideals, but may become a patriot for other nations whose causes coincide with one's own. ↑ Billig, Michael, 1995, p. 56-58. This page was last modified on 3 April 2008, at 23:55.